Sales of Apple's highly anticipated new iPhones have begun, with the first units hitting customers' hands in Australia just minutes ago, following online orders started earlier in the day. In Australia, the local time is now 8:30 a.m. on Friday, Sept. 20, meaning the iPhone has officially gone on sale at the country's local Apple Stores. The country is the first to officially launch the handset ahead of an 11-country worldwide rollout. Ben Pasternak was one of the first to receive both the iPhone 5c and 5s, which are pictured above. Lines were expectedly long at launch, though the purchasing process was said to have gone smoothly. Apple's iPhones will be rolling out around the world on Friday, with 11 countries taking part in the launch, up from 9 in 2012's iPhone 5 debut. Following Australia, customers in Canada, China, France, Germany, Hong Kong, Japan, Puerto Rico, Singapore, the UK and US will be able to place orders through the Online Apple Store, or brave lines at brick-and-mortar locations. 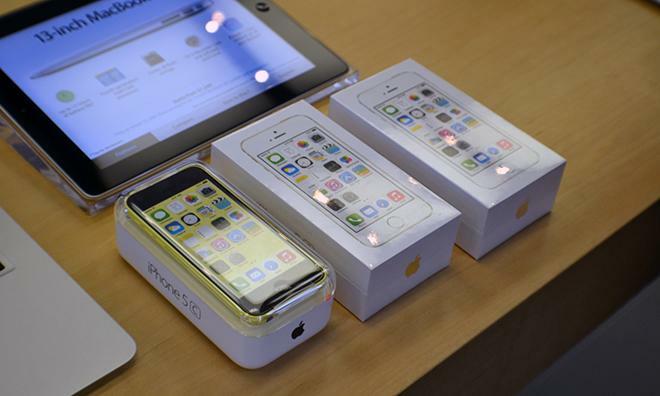 While iPhone 5c preorders have been live for one week, supply of the iPhone 5s is thought to be severely constrained. When sales of the 5s kicked off online in Australia, it was already showing a 7 to 10 day lead time compared to 1 to 3 days for the 5c. This is not to say the situation will be identical in other countries, though the pushed back delivery dates offer some vision into Apple's channel inventory.